From “Skylines and Turnstiles” to “Welcome to the Black Parade,” My Chemical Romance has made amazing strides in their musical career. Last fall, the long-awaited “Danger Days: The True Lives of the Fabulous Killjoys” created a commotion among fans and newcomers alike. This album introduced a whole new sound for the band but kept the integrity of the music that made fans like me fall in love with them. 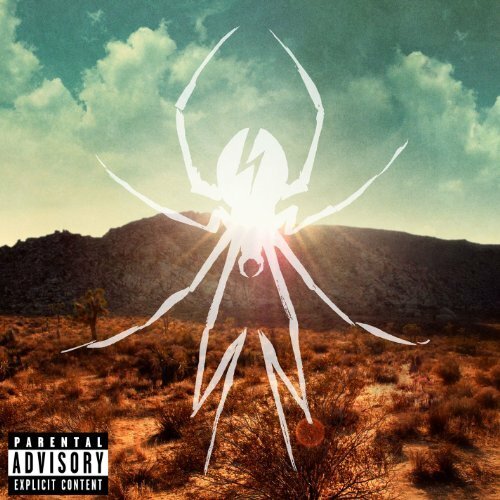 So why the sudden change in sound on “Danger Days”? In 2007, lead singer Gerard Way married LynZ, bassist in a band called Mindless Self Indulgence, a good band that mixes rock with a mellow techno sound but has some questionable songs. Then Bandit Lee Way, Gerard and LynZ's daughter, was born into the spotlight. This onslaught of good news, I expect, affected Gerard's music, creating this new album that is so tantalizingly happy. It's almost sickening, really, the techno-pop sound that has seeped into MCR's music. Of course, to some this is a breath of fresh air for the band. Others, like me, prefer the harder, angrier sound. My favorite, “Three Cheers for Sweet Revenge,” was the first to catch my attention. With songs like “It's Not a Fashion Statement, It's a Deathwish” and “I Never Told You What I Do for a Living,” I was blissful. I could, and still can, listen to those songs all day. So, of course, when I first heard the new CD, I was less than amused. Opening with the cleverly paired couplet of “Look Alive, Sunshine” and “Na Na Na (Na Na Na Na Na Na Na Na Na),” I was reminded of a pair of songs from their last CD: “The End” and “Dead!” For a start, it wasn't bad. Then things took a turn for the worse. Each song that followed slipped more and more into the techno trap, and I found myself missing Ray Toro's epic guitar solos and Gerard's anger in the lyrics. This new dancey feel was not what I'd expected. With “Goodnight, Dr. Death,” I found myself wishing that Dr. Death Defying (better known as Steve, the guitarist from Mindless Self Indulgence) would stick to his own band. I'd figured that with Gerard's marriage, the sounds of MCR and MSI would begin to fuse, but I didn't expect something this major. Granted, the band still has more talent than most. Despite the downturn in their music, My Chemical Romance remains in the hearts of their many fans. I am thrilled with the music MCR has given me in the past, and I will remain a long-term fan. “Danger Days” wasn't a bad CD, however, it wasn't nearly MCR caliber. I, like so many others, eagerly await the next installment from this wonderful band. My Chemical Romance is an amazing band, but their new album, "Danger Days: The True Lives of the Fabulous Killjoys," introduces a whole new sound for the band. Why Do I Like the Music I Do? This is probably the best review I have ever read of DD. It captures the way I feel exactly. You do credit to MCRmy/ Killjoys with your brilliant writing. Thank you for restoring my faith in the torn, troubled fanbase of the most wonderful band to ever have played music. I don't agree. Danger Days is my favourite, right behind Black Parade. The problem people seem to have with it is that they expect it to be like all the others when it's not. That doesn't mean it's not some of the best stuff out there. I think you did a wonderfull job with this article! I also think that the fans that claim that they like their earlier albums better, and saying that they dont "get" or "like" Danger Days, must have never really goten My Chem at all. Honestly, I have loved them scince the very first album and I have never disliked ANYTHING theve done it and its amazing to see just how much their music has grown and changed over the years. I mean, It really is classic MCR. But that's just my opinion. I don't completely agree with you. Not every song on this album is "sweet". In fact, I don't think any of them are. There are plenty of "angry songs" like Destroya, NaNaNa, and Vampire Money. There are also songs that are softer in tone and, while still never losing that edge or emotion that makes mcr songs good(ex: scarecrow, sing, the kids from yesterday). There are also songs that just make you happy to be there listening, songs such as Party Poison, Planetary Go, and Bulletproof Heart. In short (way too late for that...) I don't think that the music or tone of the album is cut at all. Its just a different theme, so to speak. You are totally entitled to you're opinion, and I respect that, but I just feel that you compared these songs to those of the Black Parade ones you love and think highly of. I agree, I love MCR, but I thought the switch in sound was almost intolerable. I mean I'm glad Gerard's happy and I'm glad MCR is progressing as a band but seriously, I wish it didn't affect their music to such an extent that they COMPLETELY abandon their roots.